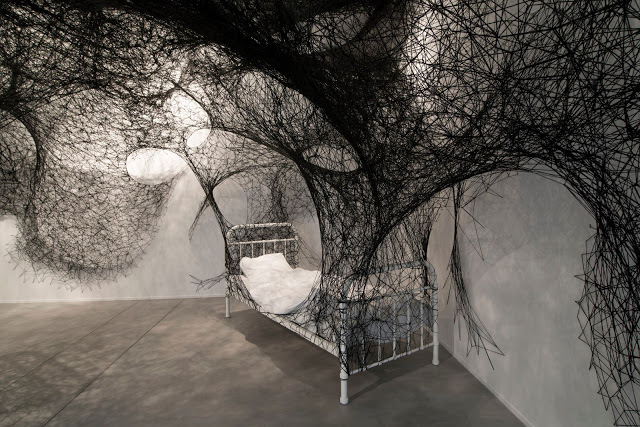 Chiharu Shiota, born in Osaka, and living in Berlin since 1997, has made us fond of her large scale installations, such as The key in hand, presented in the Japan Pavilion at the Venice Biennale. 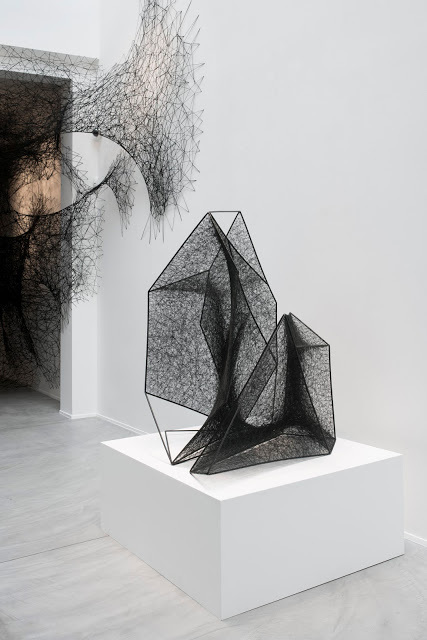 Shaping her inner universe in a myriad of lines, she creates crossings that work as key points, either suspending and grasping objects, or as webs capable of generating chromatic surfaces and transparencies, which overlaps with shapes and light. 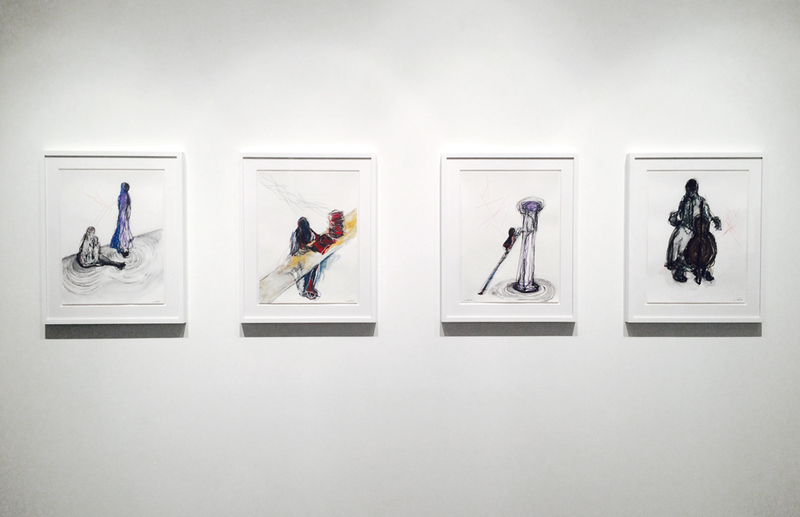 In all circumstances, her artworks allow the inclusion of human beings in a spatial and immersive experience. This time, A.R.M. visited the exhibition Sleeping is like death at the Daniel Templon Gallery, in Brussels. 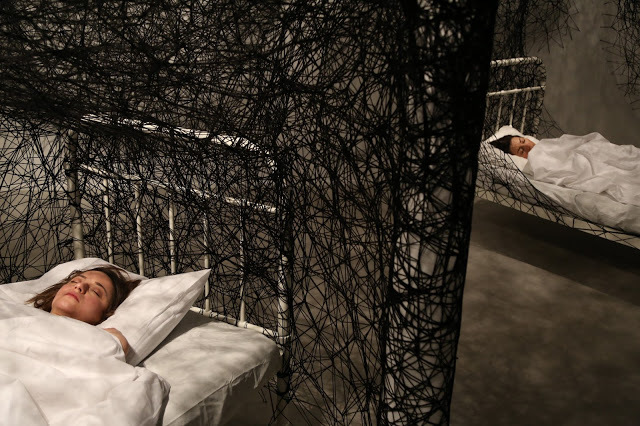 A site specific installation and performance about the body in its sleeping and dreaming state. 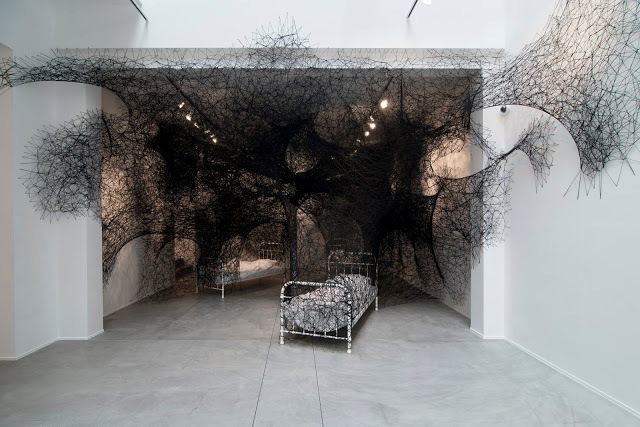 Webs woven from black threads come out of three hospital beds, extending into the space, as if invading it. They create a dim environment emphasized by the light that travels through their transparency. 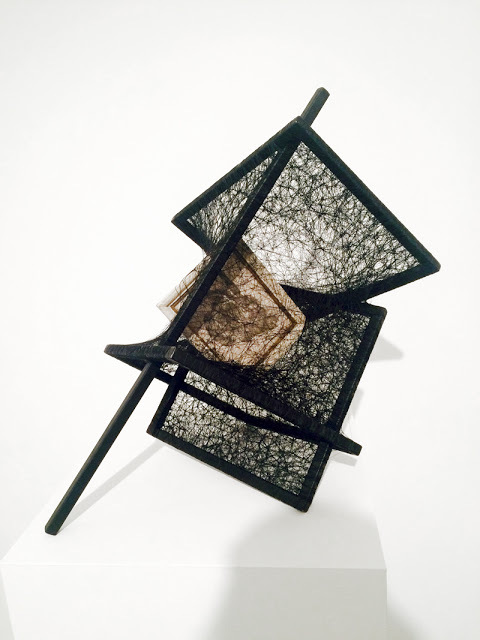 The undone beds and the white linens, mark the absence of a body and, at the same time, the dark web, with both round and angular movements, creates a graphic and pictorial mesh. The exhibition also features small sculptures, which maintain the use of the webs, black or red, as well as drawings of the artist’s mental projections. 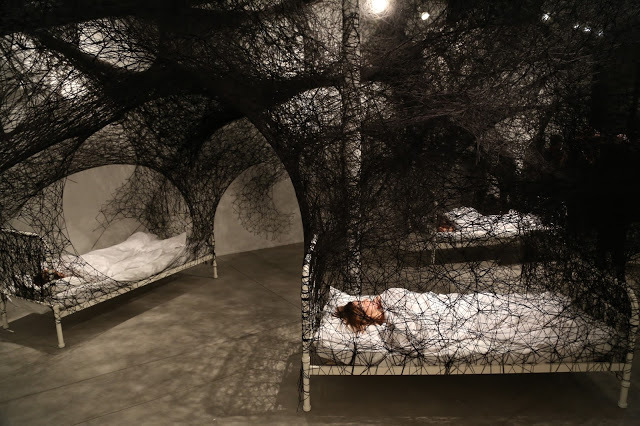 This gallery space now turned into immersive experience, welcoming the spectator’s physical and emotional presence, will host the works of Chiharu Shiota until the 20th of February 2016. 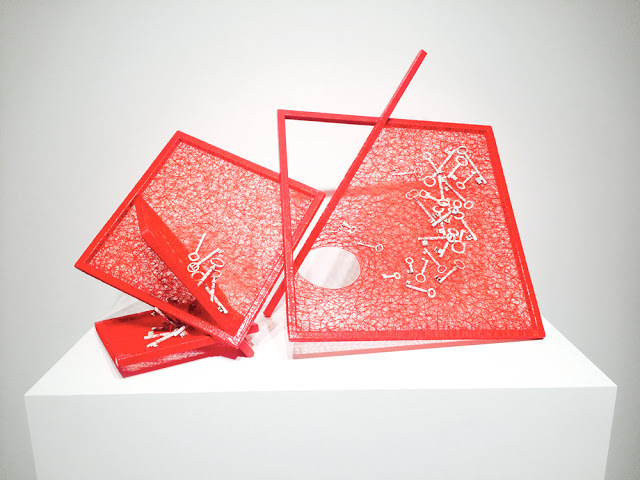 Image courtesy of Galerie Daniel Templon. Performance view. 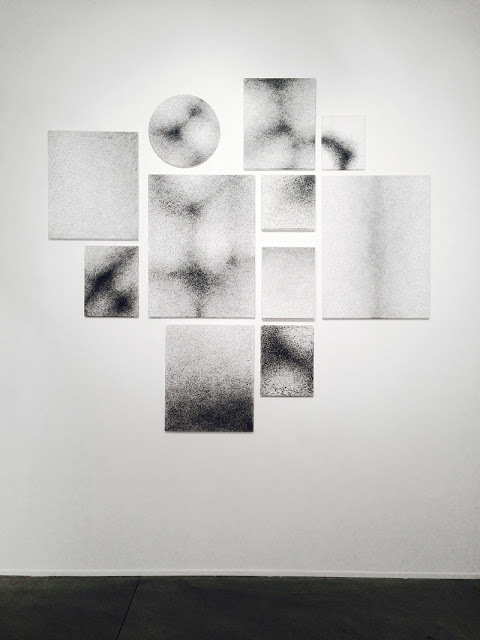 Image courtesy of Galerie Daniel Templon.